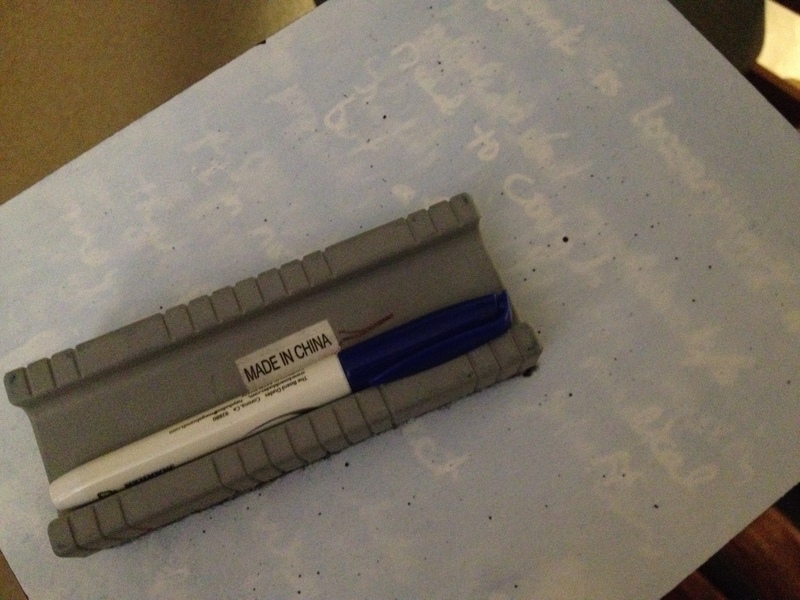 This marker board and pen are how Kimberly and I have been communicating. I have been translating for her to her docs and nurses. 10,000 reasons for my heart to find . . .
As we are now just about 24 hours out of transplant, I find myself singing the song lyrics above. I find so much encouragement in the goodness of God in the midst of difficult times. He is worthy to be praised when everything is going well and when everything is hard. His praise worthiness is not dependent on our circumstances, so would you join me in praising Him now? Kimberly just finished her ultrasound to check the internal bleeding. We will know more about the situation after talking to a doctor later. She is in pain . . . probably normal levels of pain and discomfort for someone who had a tracheostomy and a kidney transplant yesterday. Her trach is a source of frustration because it keeps her from talking and adds anxiety to breathing. In spite of these things, I would say that she is probably doing better now than she was at 8 AM this morning. Her vital signs are stable and they are hopeful she will be able to begin drinking fluids again this afternoon. The new kidney seems to be working well! I have not seen Angie today, but have talked to her husband and her doctor. She seems to be doing better as the day goes on. Normal post-surgical pain and nausea. I understand she has started to eat some and is progressing nicely. Please pray for a quick, complication free recovery for her! Again, we are so thankful for your partnership with us in this. Many hands help to lift the load and place it squarely on the shoulders of our Savior. He is worthy to be trusted with all things, including this. Lots of love for all of you. I’m praying. Kimberly and Angie are in my prayers–and all your family is, too. Your faith is remarkable. I love that song! So glad to hear of the progress and update. Continuing to pray for you guys as you go thru the recovery process. May His grace be evident each moment of the day! We will continue to pray and will definitely join you in praising Him for all that He has done and will continue to do. Our prayers are with Kimberly and Angie.